Everything seems to be happening so quickly at the moment I mean how is it a week until Christmas? 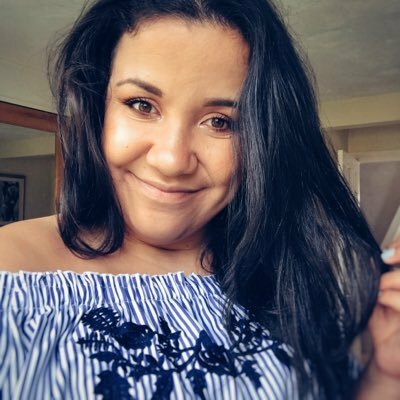 I was meant to put this post together last week but completely ran out of time and I fell ill as well, typical right?! I’ve always been one of those people when it gets to Christmas that I try and be as organised as possible but it never happens. 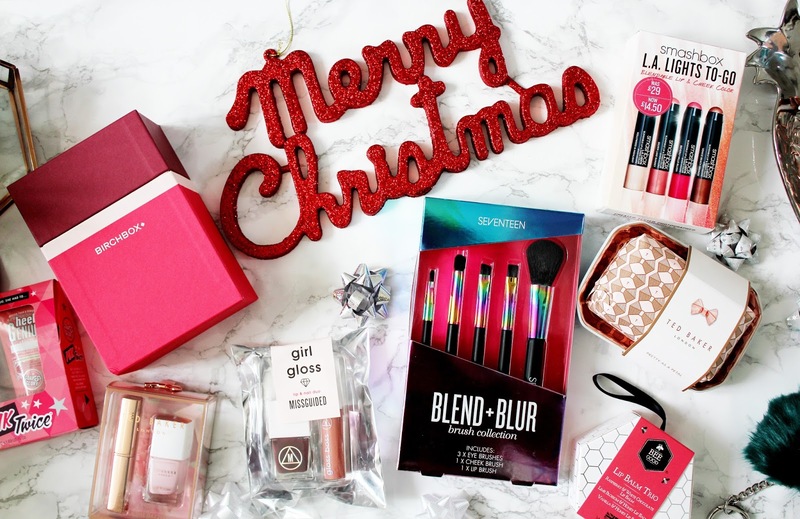 So for all of you readers (like myself) doing last minute shopping, this gift guide is for you! I’ve said it once and I’ll say it again there has never been a Smashbox product I’ve tried and not liked. I am so happy I’ve discovered this brand and I have a list as long as my arm of other Smashbox products I want to try. 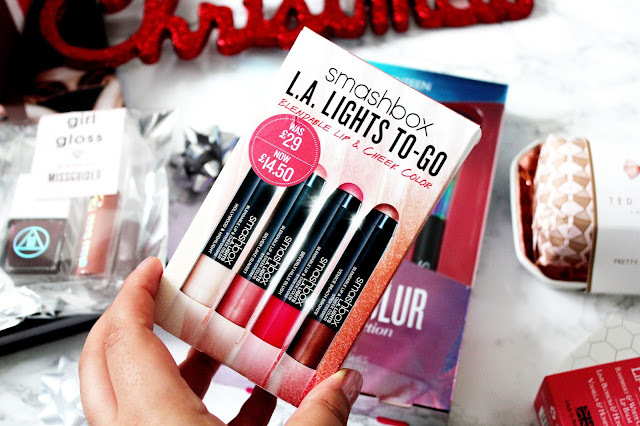 This set is a great little starter kit to introduce you to Smashbox and it contains a bronzer, two blusher shades and a highlighting shade, which you can use on your face, lips and cheeks. If you missed my post about my favourite Smashbox products, you can check it out here. 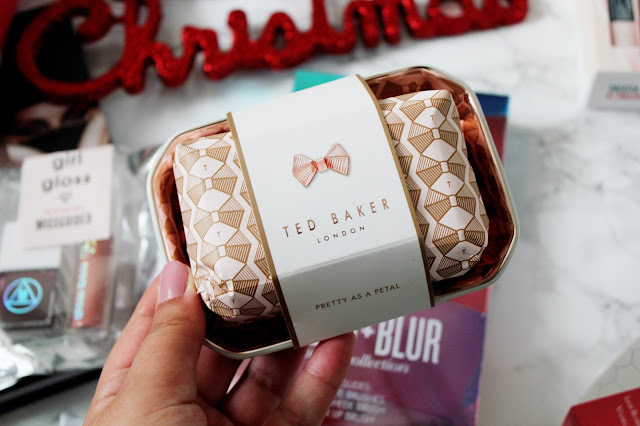 Ted Baker is one of my favourite brands and I love the gift sets they bring out at Christmas in Boots. This soap immediately caught my eye because first of all it comes with a ROSE GOLD dish (which is every bloggers dream) and the packaging is beautiful too. It comes in at £8 and is on Boots 3 for 2 offer as well to help you save a few pennies! Okay so this might not be a beauty gift, but it is a very useful gift if you always lose things (like myself!) I attached this pom pom key ring to my car keys and it’s so useful for finding them in your handbag and it comes in at under £5 too! 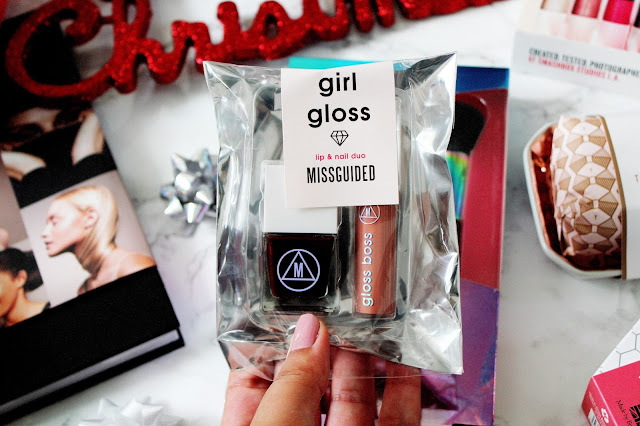 For about the past year, I’ve wondered when Missguided will branch into beauty and this Christmas they’ve brought out gift sets, which are sold online on their site and also in Boots. I knew I had to pick one of these up as they’re a great stocking filler gift. This set is great for when you’re on the go as you can paint your nails and make sure you’ve got your lipgloss sorted too. Another gift on the Boots 3 for 2, this set from Seventeen is just stunning! 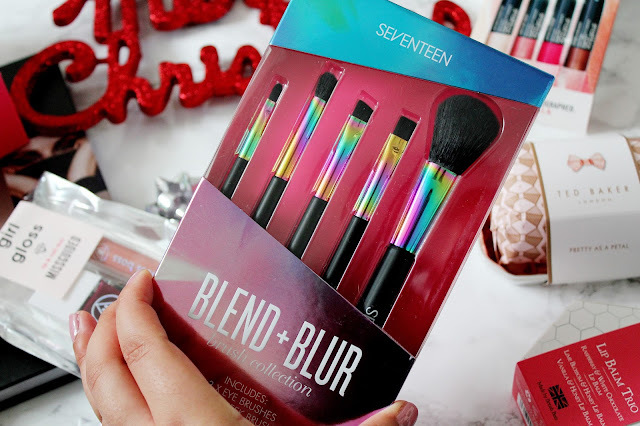 I absolutely love how it’s holographic and the brushes are great quality too. This set comes with 3 eye brushes, 1 cheek brush and a lip brush, which makes this set super practical. The only thing missing in this set is a foundation brush though! 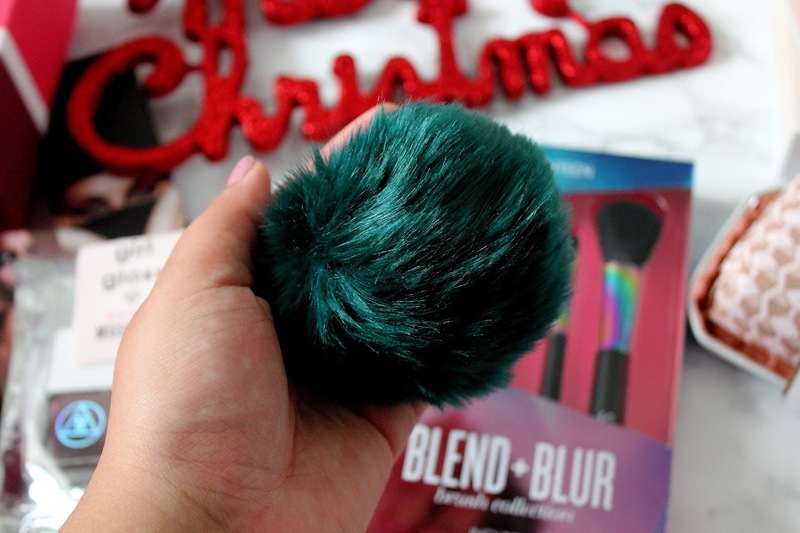 I think this is a great gift for someone starting out with make-up or just if you want to increase your make-up brushes collection! If there’s going to a beauty gift, which is suitable for any woman, it’s a lip balm set. Who doesn’t have chapped lips in winter? This set includes the scent ‘Vanilla and Honey’ and ‘Raspberry White Chocolate’ and ‘Lime Blossom & Honey’ lip balms. 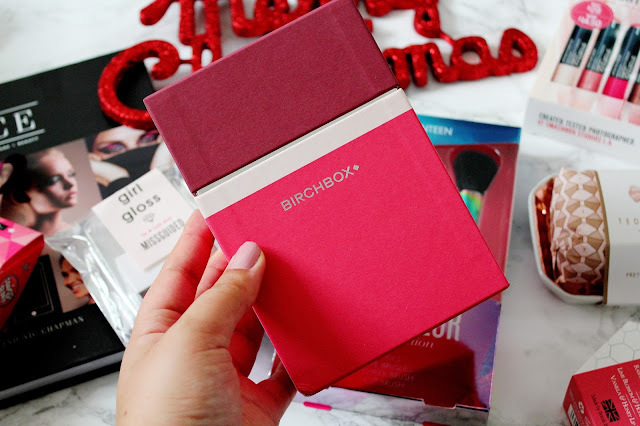 If you’re looking for a varied beauty gift, then I’d recommend picking up a beauty box and this month’s Birchbox has really caught my eye. 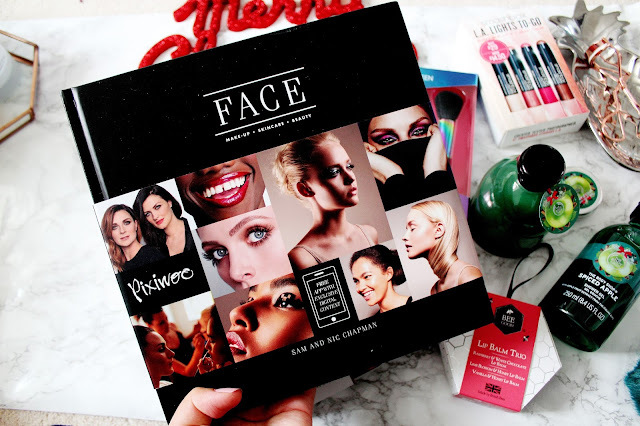 It includes make-up; skincare and hair care so you cover all bases too and each box this month includes a full size Ciate eyeliner! And for a limited time you can get 15% off all subscriptions with the code ‘PERFECTGIFT’. Soap and Glory hands down create the best smelling products EVER. 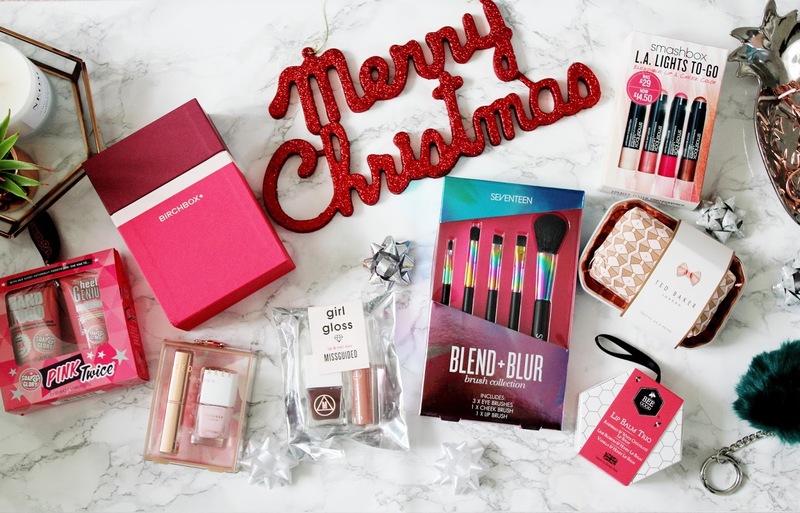 I absolutely love the smell of any Soap and Glory product and they create the most gorgeous gift sets for Boots at Christmas. This set is a great stocking filler as who doesn’t need for hand cream and foot cream? This set really doesn’t break the bank as it’s only £5 as well. 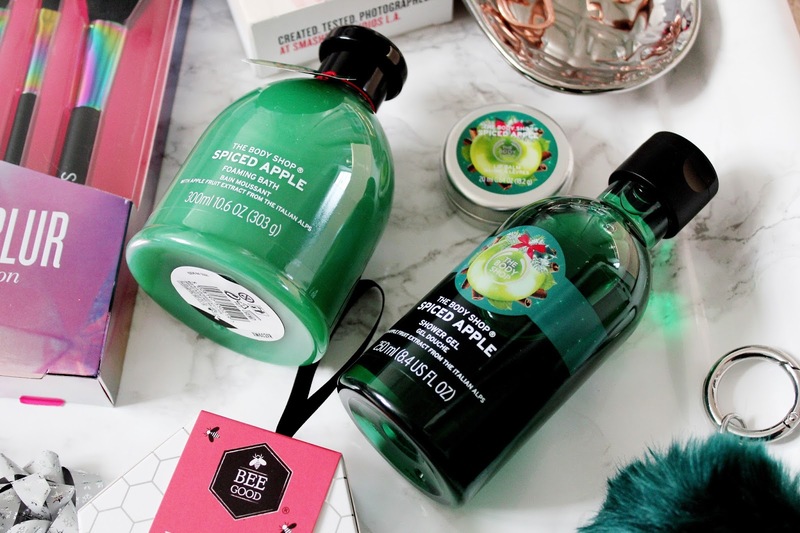 Is there anything better then Body Shop products? When it comes to pampering myself and having a pamper evening, the first thing I do is use my favourite products from The Body Shop. Remember the Pina Colada range? 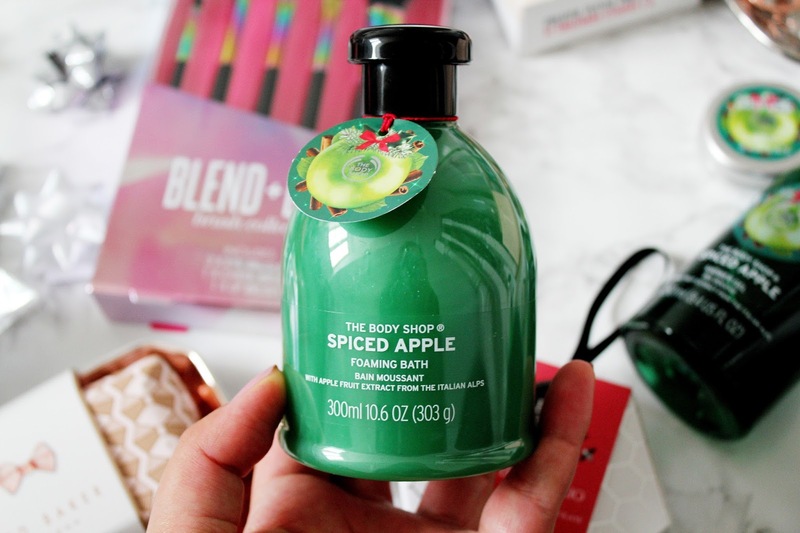 I was absolutely obsessed with it and right now I’m obsessed with the spiced apple range it just smells like Christmas in a bottle! As soon as I watched the Pixiwoo video announcing they were creating a book, I knew I had to have it in my life! I’ve learnt so much about make-up from reading this and it’s a great coffee table book too. 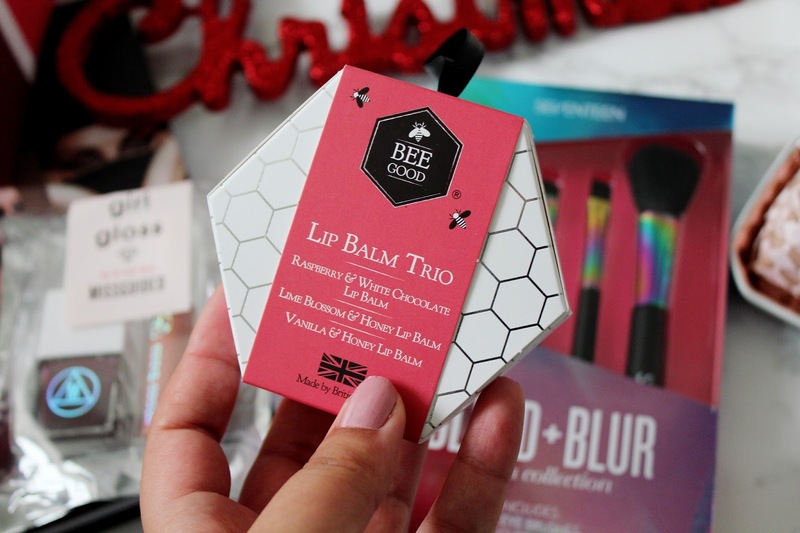 I think this is a great gift for any beauty lover. I'd be happy to receive any of these! 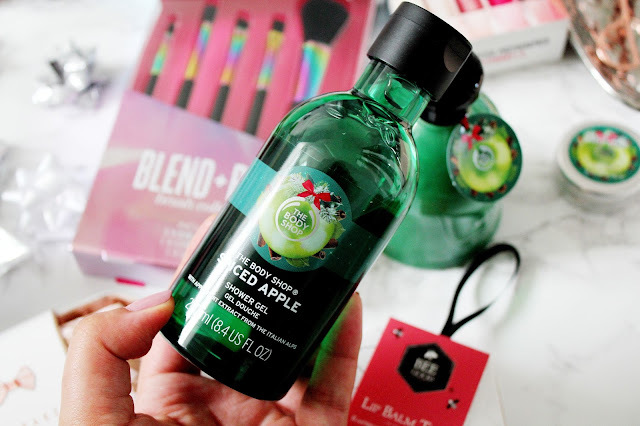 Such great ideas, love the sound of the spiced apple bath foam! This is all so cute and the brushes seem nice !